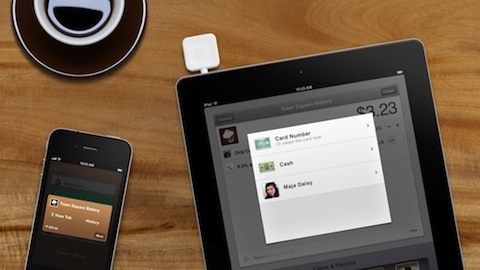 Square has become popular for accepting mobile payments straight from your mobile device. Today the company’s founder and CEO, Jack Dorsey, took to the stage and announced a bunch of new features. Square is aiming to revolutionize everyday transactions and make cash registers obsolete. Directory – Consumers can now discover sellers in their neighborhood that use Square. Menus – Shops and restaurants can advertise current menus, prices, daily specials, and trending items on customers’ phones. Tabs – Customers can open a tab on their phone to verify their identity with the seller. They can then make purchases from the store with one touch, eliminating the need for cash or credit cards at checkout. Receipts – Sellers can now automatically generate and send digital receipts to customers and let them track their purchase history right from their phone. Card Case – This is a feature of the Square app for iPhone and Android. It enables customers to access Directory and Menus, and open Tabs at their favorite merchants. It can be activated through a text message invitation from Square after making a credit card purchase at a participating merchant. The Square Register app for iPad is available for free beginning today. Sellers interested in offering Card Case can apply at squareup.com/cardcase.